The participants of the technology guidance application system of general procurement plan. 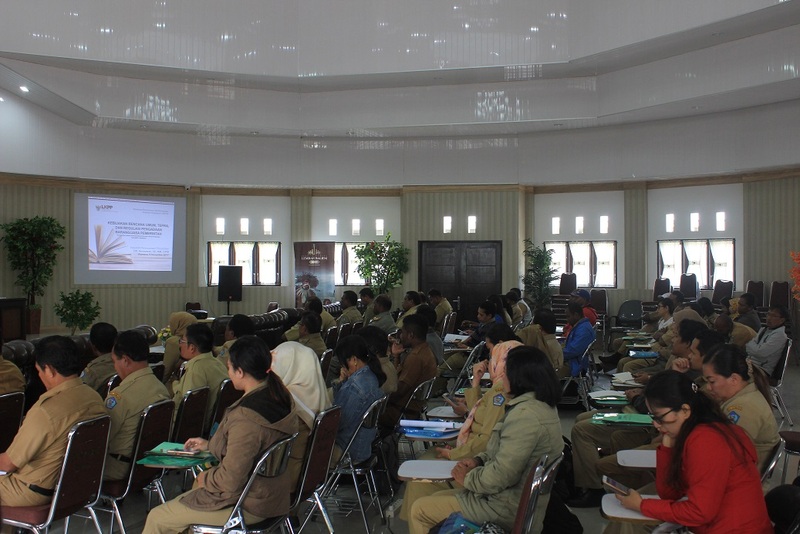 The government of Jayawijaya regency tightened the supervision procurement of goods carried out by every regional apparatus organization (OPD). Supervision through application of information system application in the procurement plan of goods and services. "Through this system there will obviously be savings, although it can not mention how much savings are generated through this system," said Jayawijaya Regional Secretary, Yohanes Walilo, after opening the technical guidance of the general system procurement system application at Sasana Wio Jayawijaya Regent Office on Monday (11/ 6 /2017). According to him, the information system of the procurement plan is important so that each OPD can reduce the additional costs incurred. He explained the technical guidance (Bimtek) conducted by the regional secretariat through the Procurement Section of Government Goods and Services is an effort to implement procurement according to the rules. "This bimtek is important, so any OPD can plan procurement not out of the rules that can cause them to be in touch with the law," he said. He acknowledged that the procurement of goods in Jayawijaya has been using online system, but need to increase the understanding of OPD on the system. OPD is expected to be able to do well in 2018 later, for procurement planning as needed and measurable. Previously, Papua Governor, Lukas Enembe, said the procurement of goods and services in the province of Papua often gets the spotlight. "But since the establishment of electronic procurement system (e-procurement) problems began to decrease," said Enembe. According to him E-procurement as a procurement process of government goods and services whose implementation is done electronically based websites and internet. One of the government-based communication and information technology programs is able to run public auctions, pre-qualification and sourcing electronically using a website-based module. "Therefore, the procurement arrangement of government goods and services begins to be regulated by the enactment of Presidential Regulation No. 54/2010 on the procurement of Government Goods and Services," he said. The regulation mentions budget users (PAs) in local government publicly announcing public procurement plans for public goods, after annual budgets are discussed and approved.